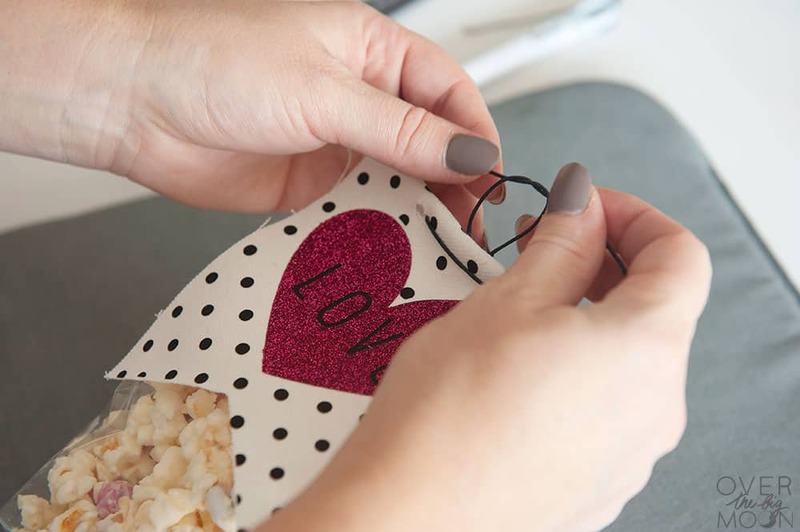 Making handmade Valentine’s is so easy with the use of your Cricut cutting machine! 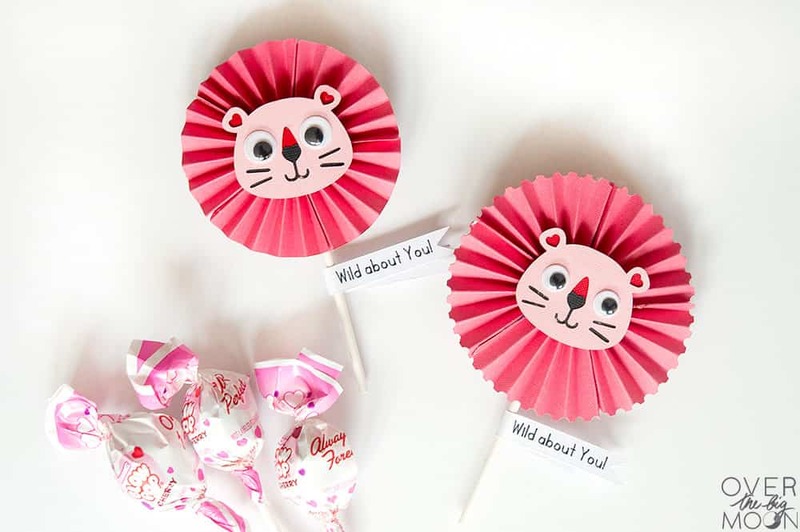 Come learn how to make this Lion Sucker Valentine, Fabric Bag Topper and Crayon Holder Valentine! Hey friends! 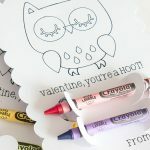 Today I am excited to share with you 3 fun Valentine’s that you can make with the Cricut Maker to help you celebrate the upcoming holiday! 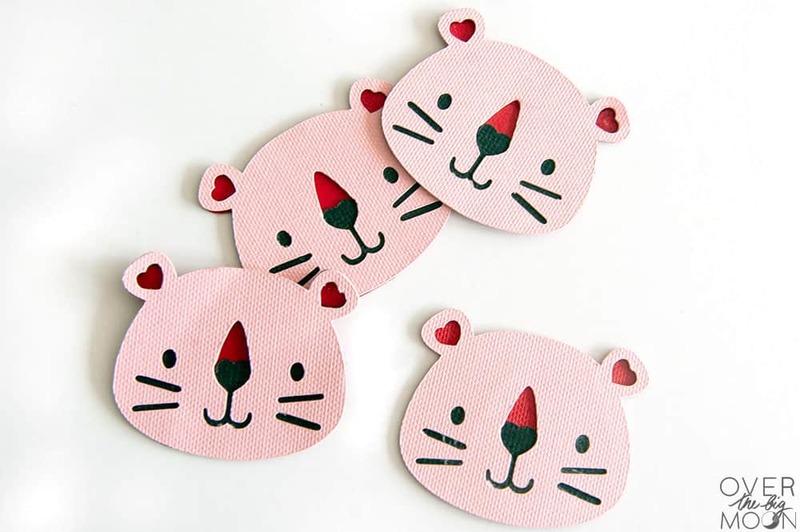 I’ve got Valentine’s for all ages and they’re all super easy and cute! I’m obsessed with this super fun bag topper guys! It’s different than other bag toppers, because I made it with some simple white canvas fabric and embellished it with some Iron On Vinyl! This is the perfect gift idea for a neighbor, teacher or friend! 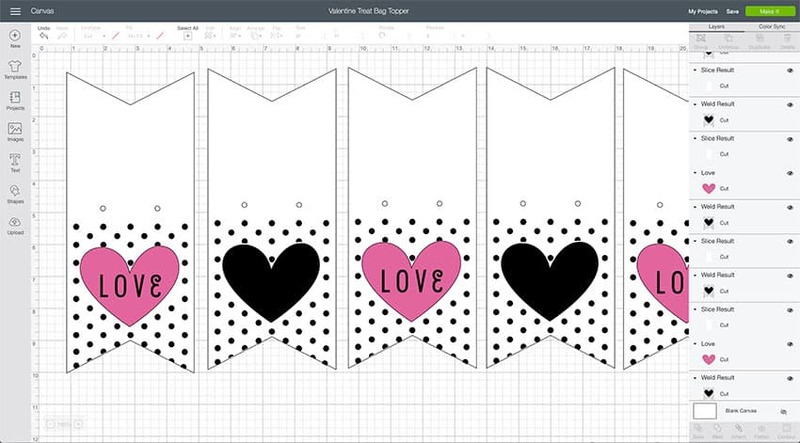 Open up the Valentine’s Treat Bag Topper Design Space File HERE! 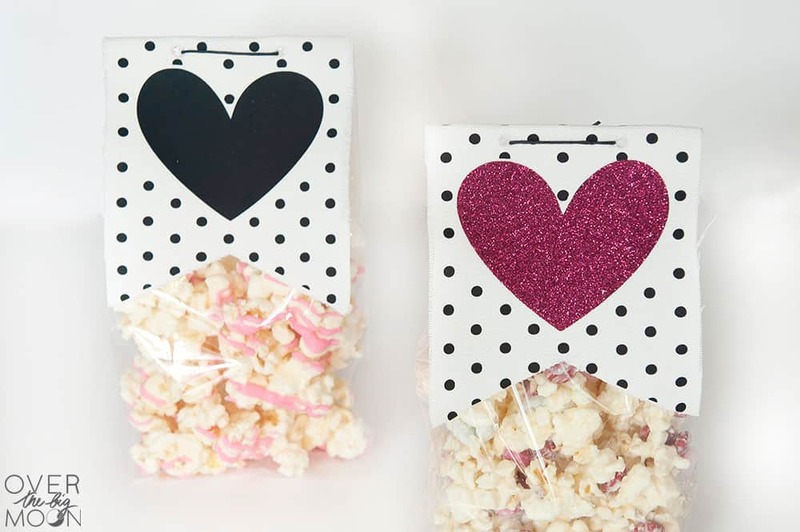 The current bag toppers are sized to fit 4″ Clear Treat Bags! If you’re using a different sized bag, then you’ll want to resize the designs to fit your bags. 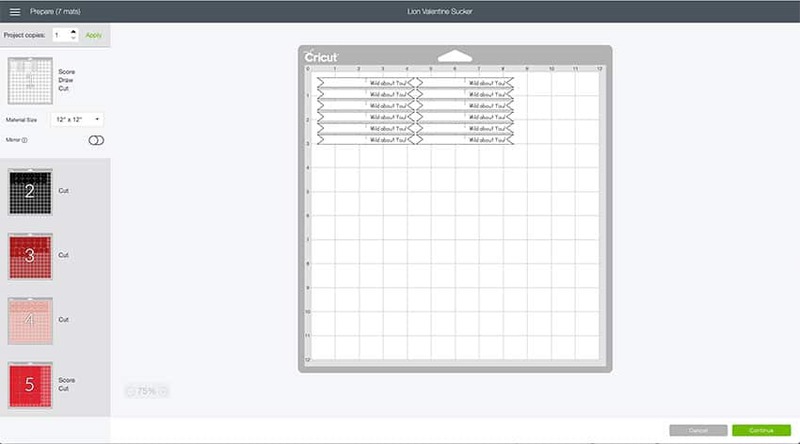 Once you’re ready to cut the file, hit ‘MAKE IT’ in the top right hand corner. 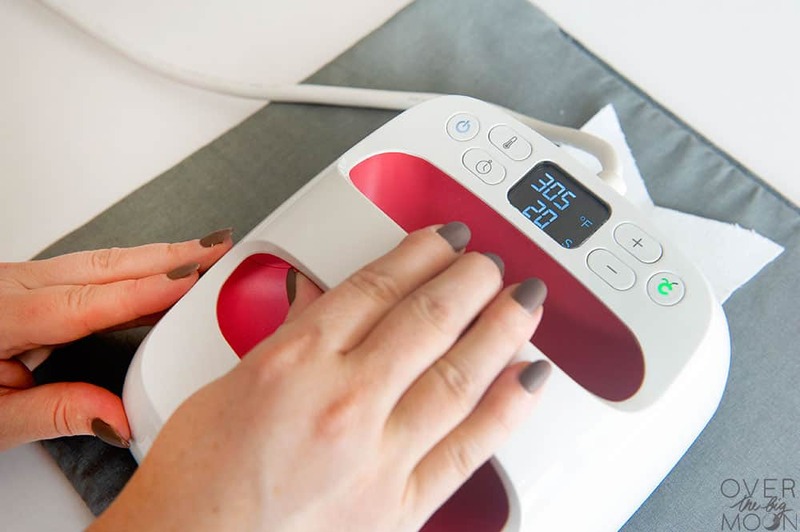 The elements should split into 3 different mats – one for the white canvas fabric (cut on the pink mat with the rotary blade) one for the black iron on and one for the pink glitter iron on (both cut on the green mat with the fine point blade). 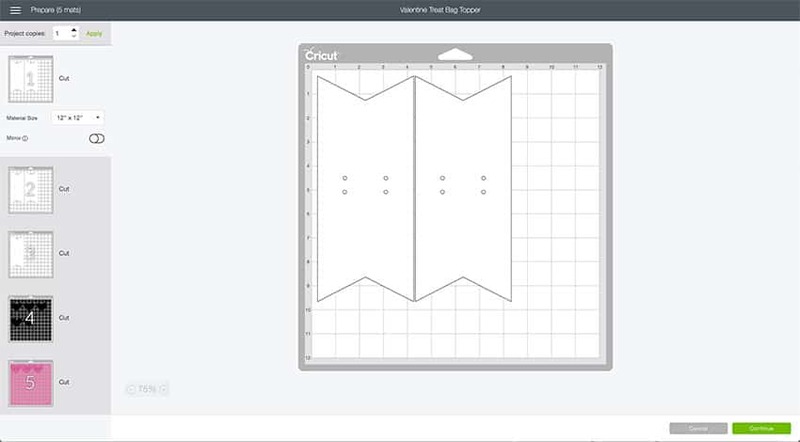 Once you’ve reviewed the different mats, then go ahead and hit ‘CONTINUE’ and follow the promptings to select the correct material and put in the right tools in your Cricut Maker, etc. 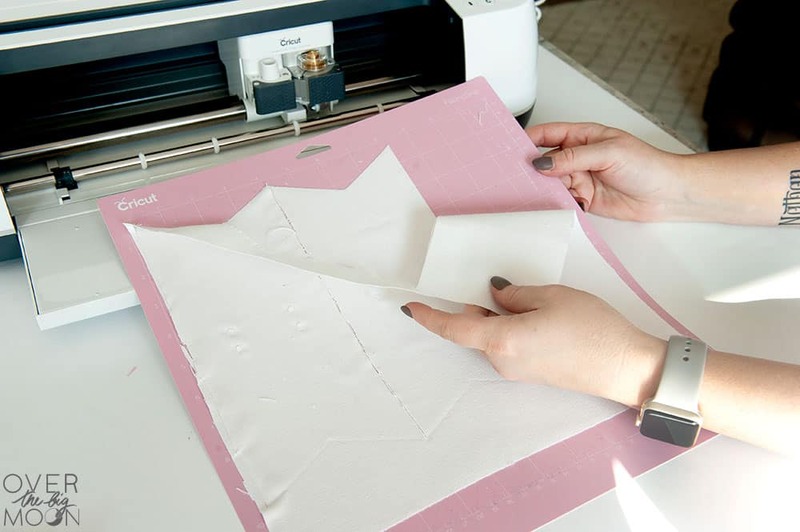 Again, you’ll have the rotary blade loaded when you’re cutting the white canvas duck fabric. Then you’ll need to switch to the fine point blade when cutting the two iron on mats! 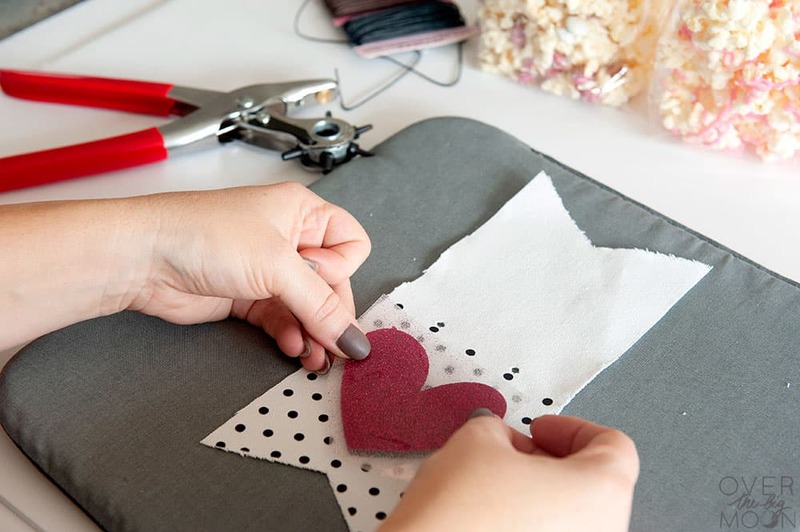 Once everything is cut, then it’s time to apply the Iron On to the fabric! Start by weeding all the Iron On! The first layer of Iron On you’ll apply is the black layer! I used the EasyPress Interactive Quick Reference Guide to determine that I would want to apply it to the white canvas duck fabric at 305 degrees for 30 seconds. 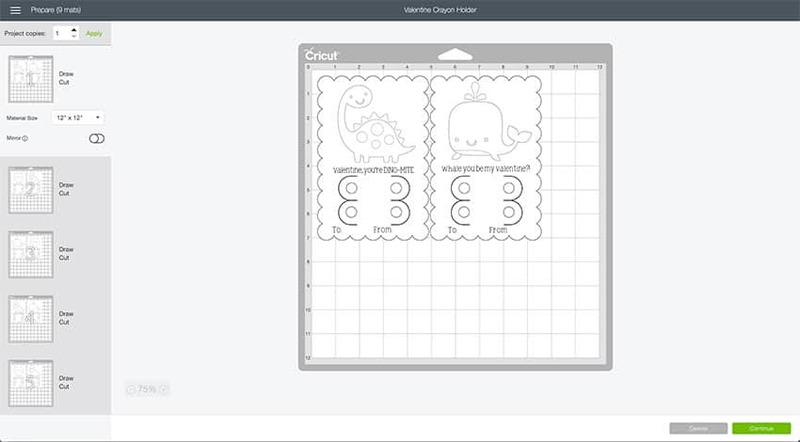 Always verify this, as Cricut is always updating their settings as things are tested and added. I used my 6×7 EasyPress 2 and the EasyPress Mat to apply the Iron On. 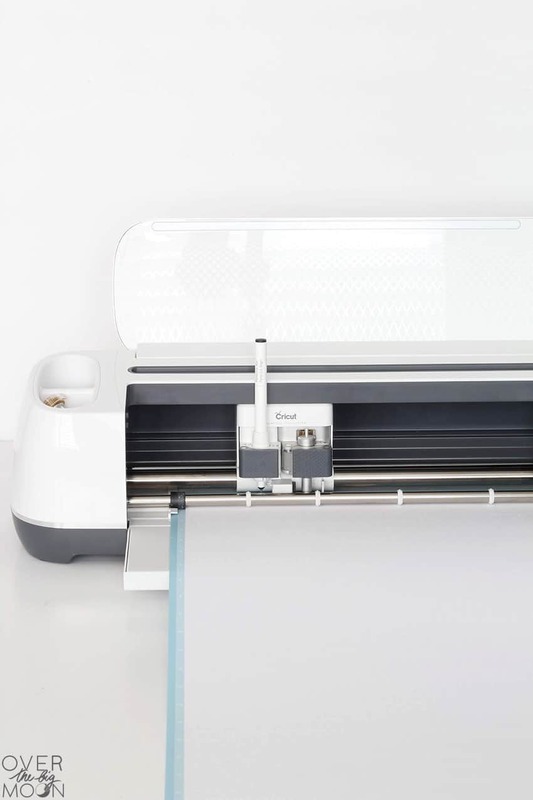 If you’re new to Cricut and want to learn more about the EasyPress 2, then check out this post — Everything You Need to Know About the EasyPress 2. 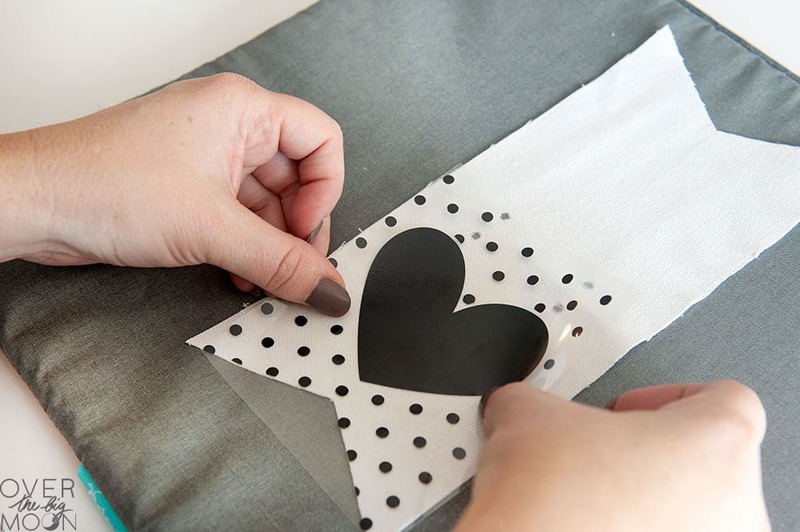 After you apply the black iron on, then it’s time to apply the glitter iron on. I chose to not weed the word LOVE from some of my bags. That way I had 3 different variations of the bag topper – some plain black, some plain glitter iron and some with the word love weeded! Then go ahead and fill your bags with whatever treat you want to! 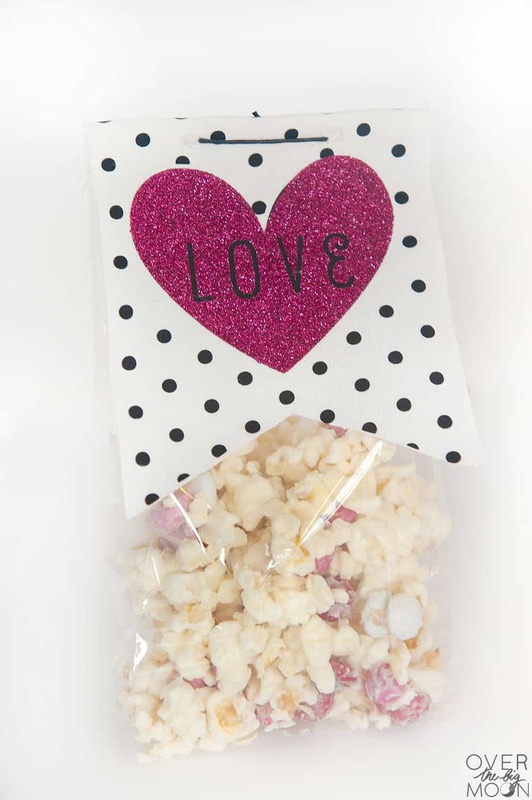 My cute friend, Dorothy, came over and made the yummiest white chocolate covered popcorn (recipe coming soon) and that’s what we put in the bags! 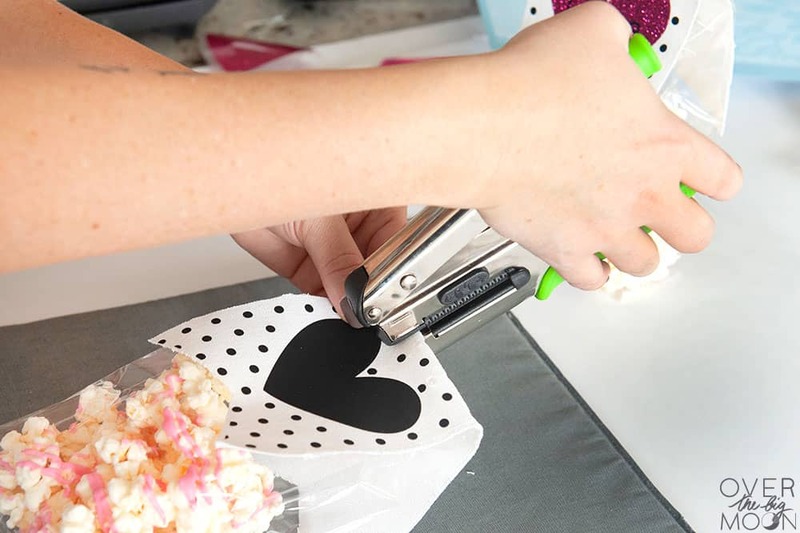 Then put the bag topper over the top of the bag and use a hole puncher to punch a hole through the bag. Note: There are already holes cut in the fabric bag topper, so all you’re doing is punching through the clear bag! Then tie a cute twine through the holes to attach the bag topper and you’re done! 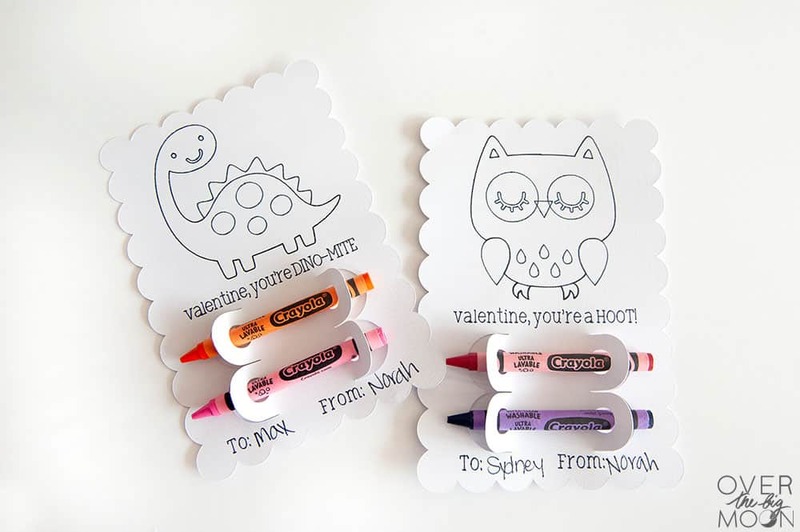 Next up, this fun crayon and color Valentine that is perfect for younger kids! 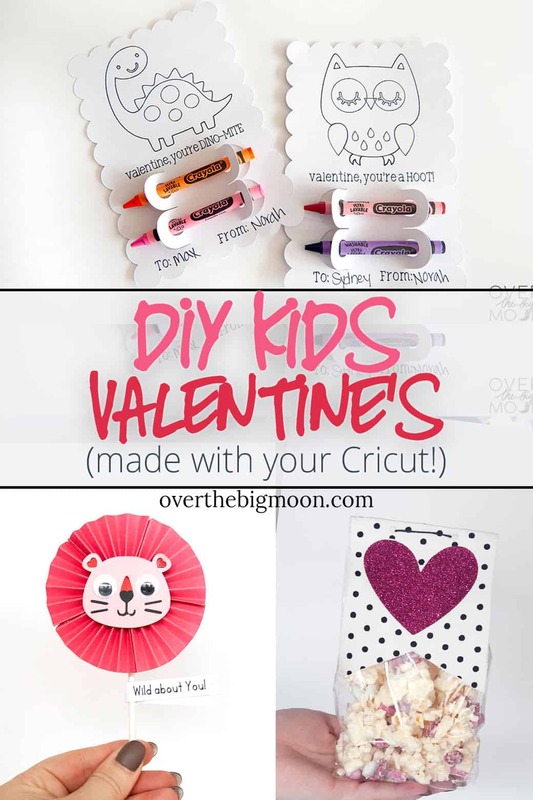 These kids Valentine’s are super easy and super fast! 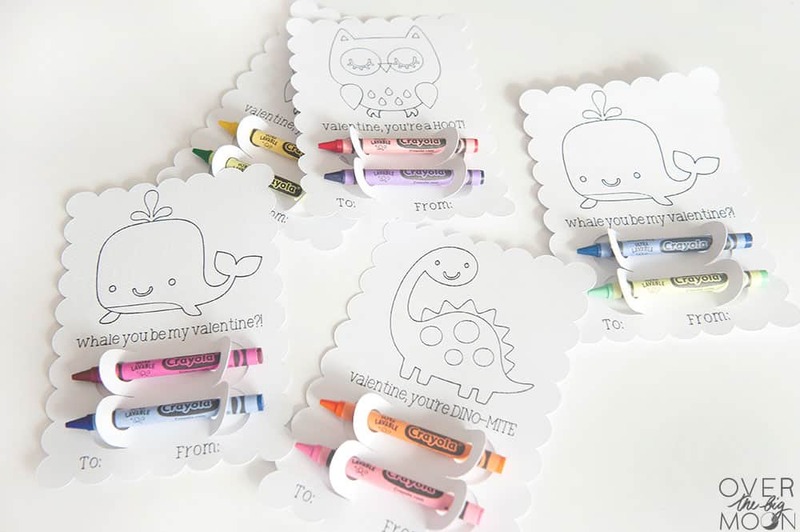 They’re perfect for preschoolers and Kindergartners! And of the Valentine’s that I’m sharing today, they’re the easies and quickest to put together! 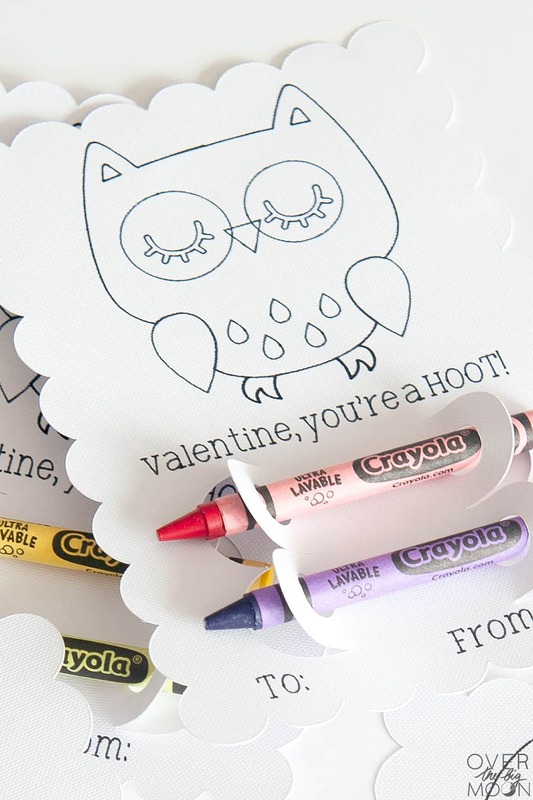 Open the Crayon Holder Valentine Design Space File HERE! They’re all ready to go, so after you open it you shouldn’t need to do anything to the design. If you want to alter the size or saying, feel free to though! 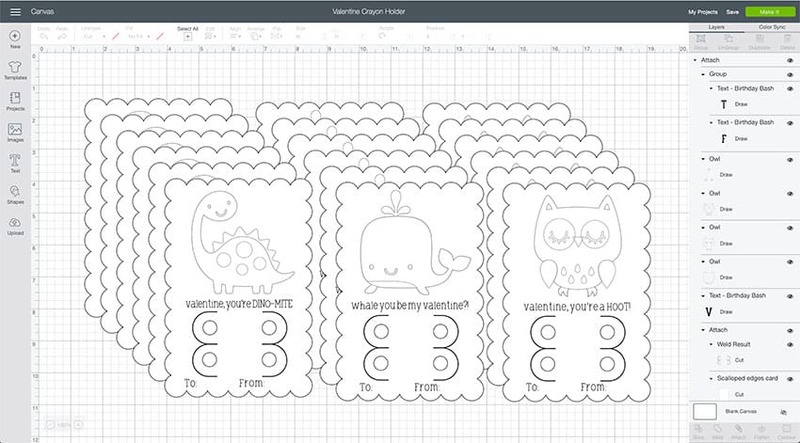 Right now, I have it set to draw and cut 18 Valentine’s – 6 of each of the designs! If you need to have more than that made, then just select a Valentine and then duplicate it. Once you’re all ready to go, hit ‘MAKE IT’ in the top right hand corner. You’re able to fit 2 Valentine’s per 12×12 mat/piece of white cardstock. If you adjusted the size, then you may fit more or less. Once you review the mats, then hit ‘CONTINUE’ in the bottom right hand corner. 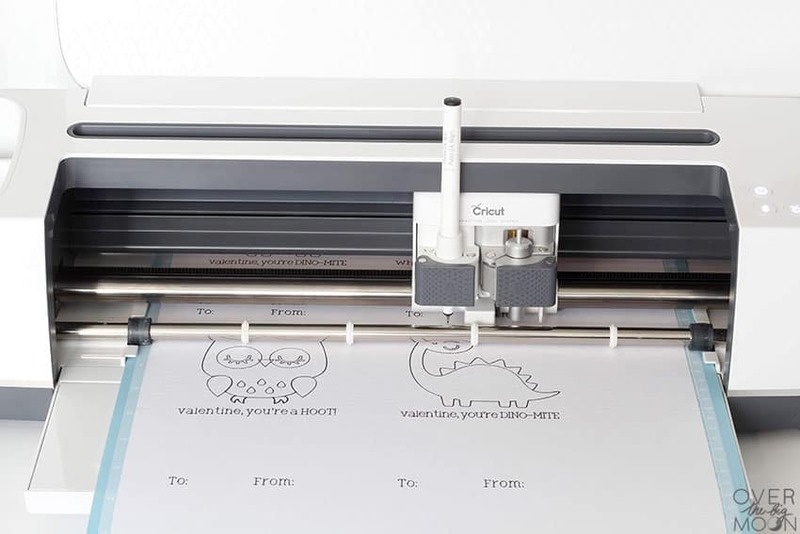 Then select your machine, set your material as Cardstock, put your pen into Slot A and your fine point blade in Slot B! Once they’re all done, then just slide a crayon in both of the slots and fill out the To and From on the Valentine and you’re done! Woohoo! So easy! 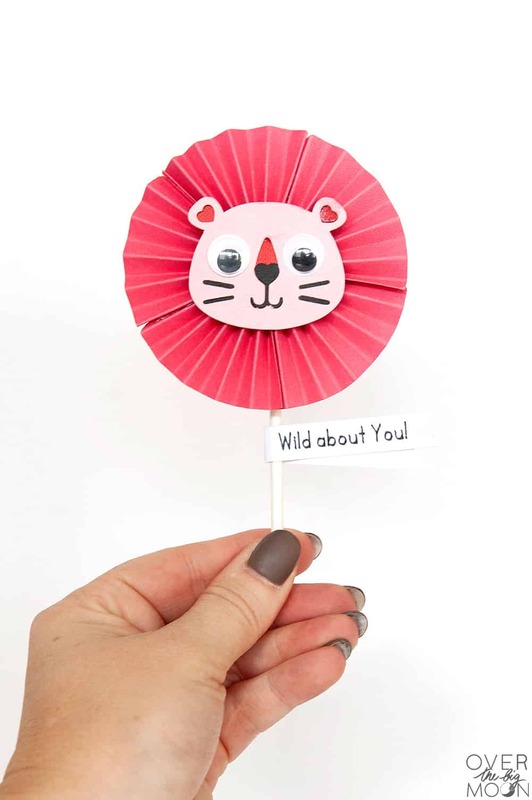 Next up, we’re going to make this fun Lion Rosette to add to any sucker to make the cutest little Valentine! This little Valentine is super cute! 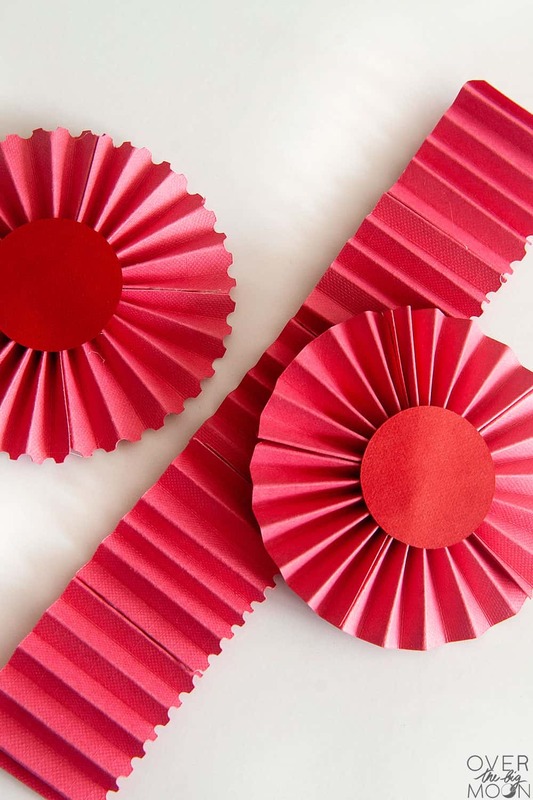 My daughter is handing these out this year and it was super easy to get my kids involved in helping fold the rosettes! So, don’t be afraid to put them to work! 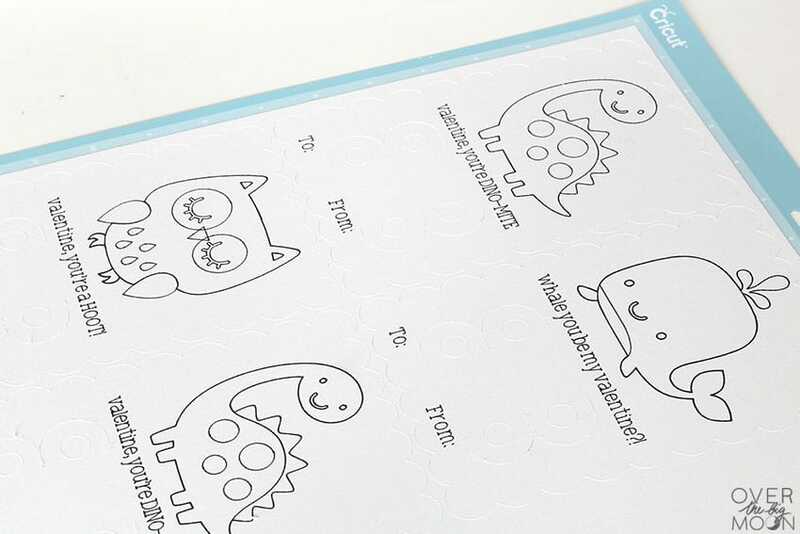 Open the Lion Rosette Design Space File HERE! I currently have it set up to make 12 of the Lion Rosette’s. So, for my daughters class, I had cut the design twice. 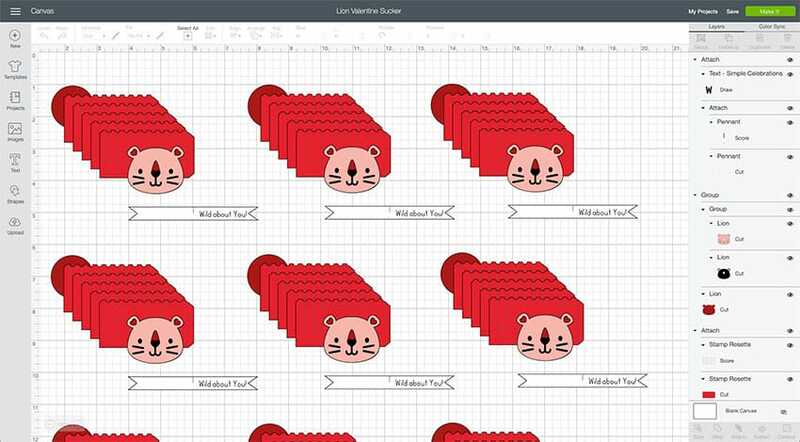 Feel free to duplicate the design as many times as you want though. I just prefer to keep my design screen simple. Once you’re ready to go, click ‘MAKE IT’ in the top right hand corner. It will then load the mat previews. Review them to make sure everything is separated as it should be. Then hit ‘CONTINUE’ in the bottom right hand of the screen. Follow the promptings with each mat you load, to load the appropriate tools needed for reach mat. The white mat will require the black marker, scoring wheel and fine point blade. The black, pink and dark red will only require the fine point blade. The brighter red, will require the scoring wheel and fine point blade! Once all the mats are cut, then it’s time to assemble the Lion Rosettes! I used my mini glue gun to assemble everything. 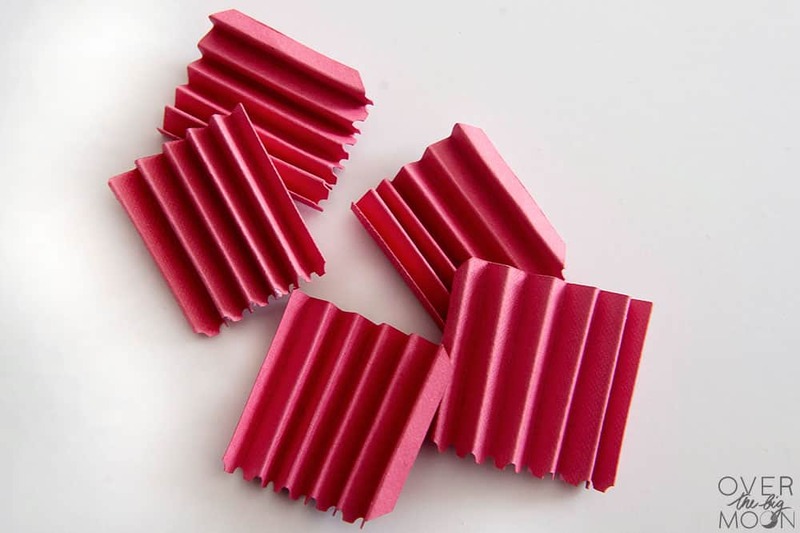 For each Lion Rosette you’ll need to accordion fold 5 of the rosette strips. Assemble them with the hot glue gun, using the red circle in the center to hold it together good. 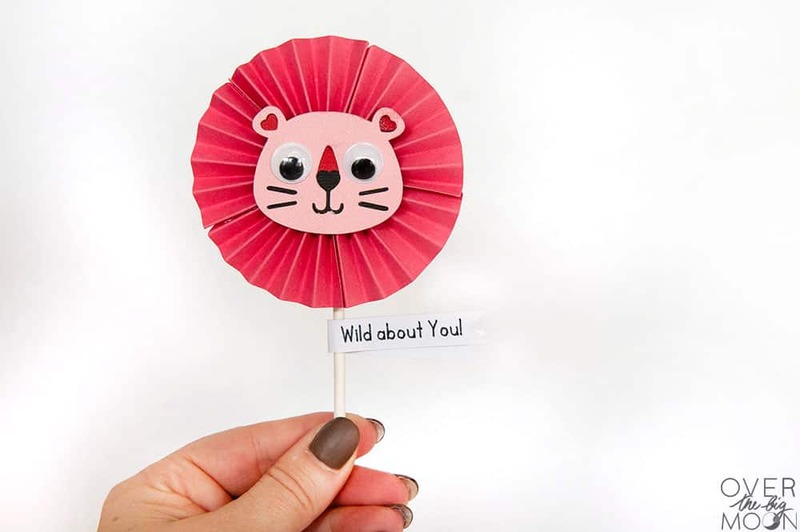 Then use the hot glue gun to assemble the Lion Face, attach the googly eyes and attach the rosette onto the sucker! 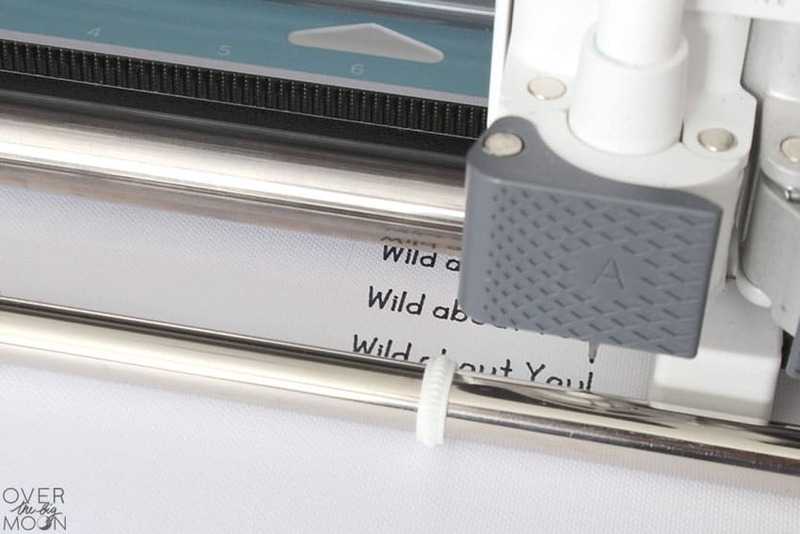 Lastly, fold the ‘Wild about You’ tag around the sucker stick! I had my daughter write her name on the back of the white tag! Super cute, huh?!? My kids got pretty good at folding the rosettes too! I hope you liked all these Valentine’s! If you’re looking for a bigger gift idea, check out the Netflix Teacher Gift Basket! Also, last years Gumball Valentine’s and Valentine’ Box were a hit and for sure worth checking out! I’d love for you to pin the image below if you have a second! Thanks!